Scrolling through Twitter last summer and Panda Sunglasses start following me. Being a bit nosey I like to check all my new followers out. Their hashtags caught my eye #ethical #sustainability and #hancrafted. 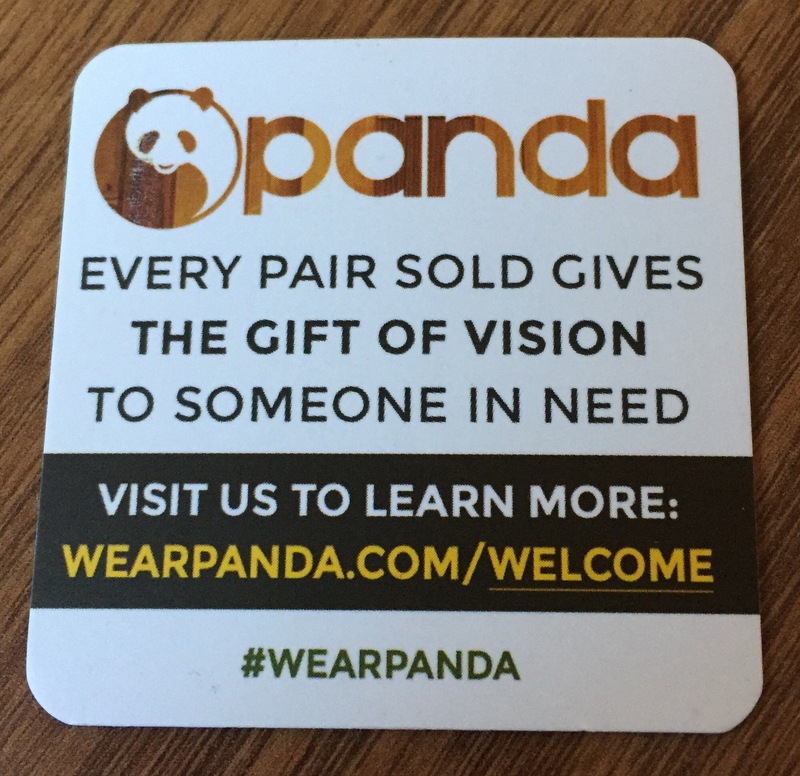 Their tag line says that every pair sold provides the gift of vision to someone in need. I was interested and hit their follow button. Made in the USA, premium handcrafted sunglasses made out of bamboo! Panda was created by a group of college friends who were looking at a rack of plastic sunglasses and wanted something better. 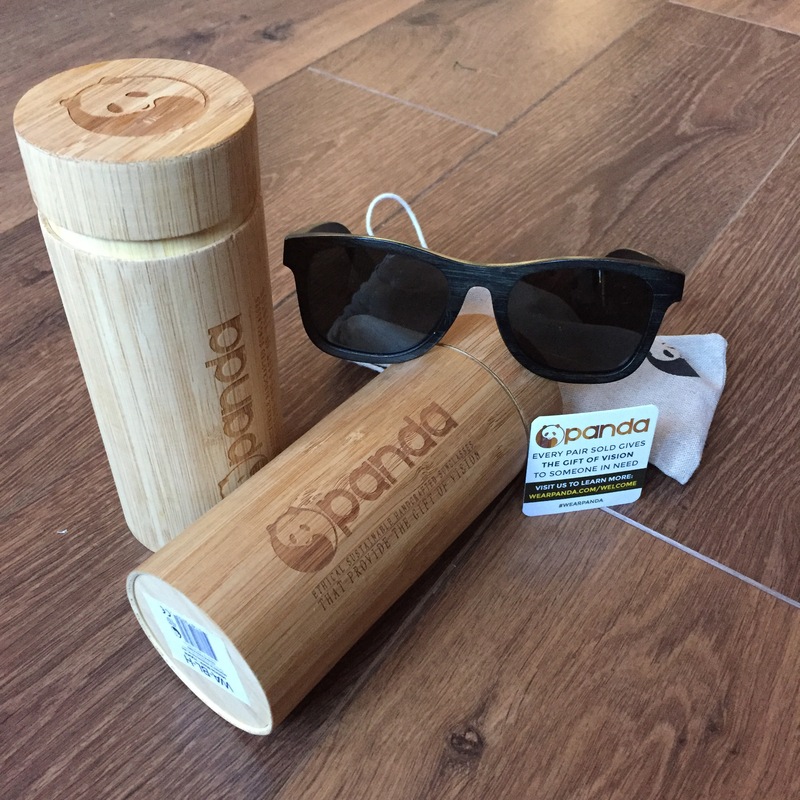 Panda sunglasses was born. When the postman tried to deliver my Panda parcel we were at work and it was a Saturday. Parcel stored safely at the sorting office until we could collect. I couldn’t wait. I wanted them now. With a 50 day trip to Europe planned for our birthdays hopefully our new Pandas were going to get some use. Opening the parcel that contained our new ‘Monroes’ was exciting. Black for him, brown for me. A rather stylish bamboo container opens to reveal a lovely drawstring, hessian bag containing my new sunglasses. They are extremely lightweight and you hardly know you’re wearing them. 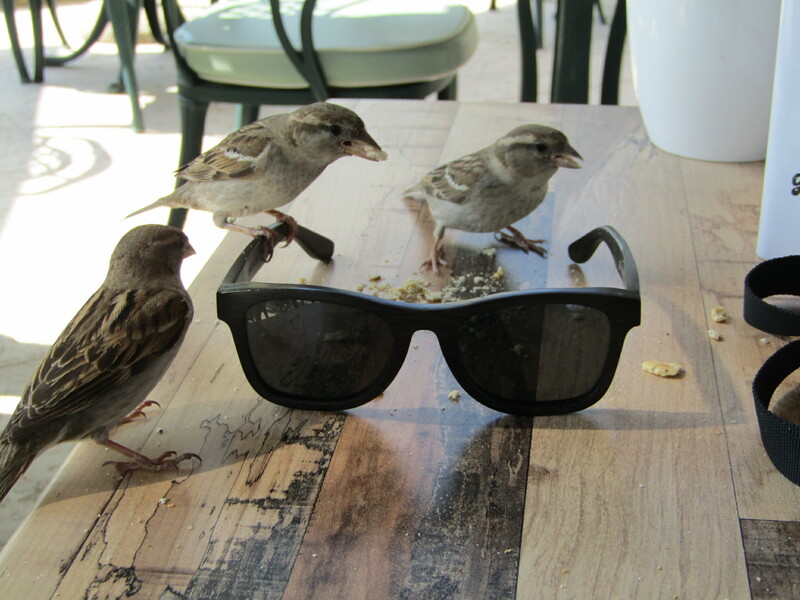 They are fitted with polarised UV protective lenses which put a lovely sheen on the world you look at. They come in an assortment of colours and styles to suit your face shape. 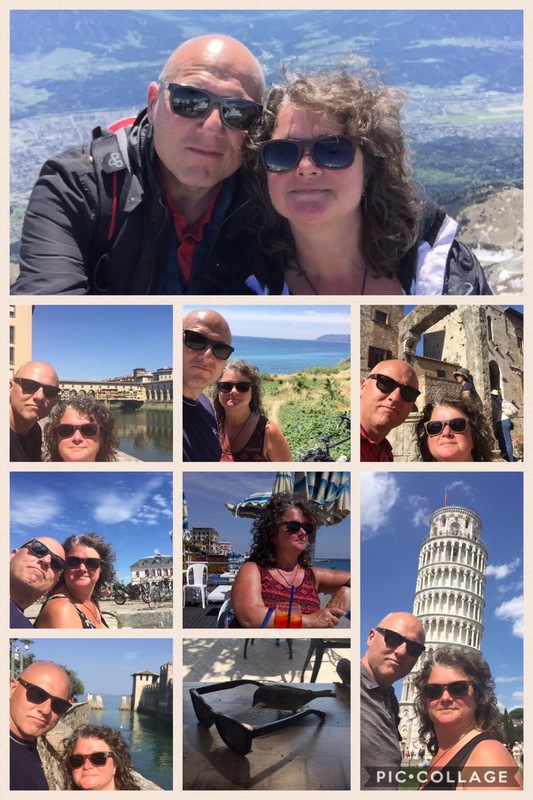 We took our Panda sunglasses around Europe and we’re more than happy with how they performed. They are so lightweight and comfortable to wear you forget you’re wearing them. 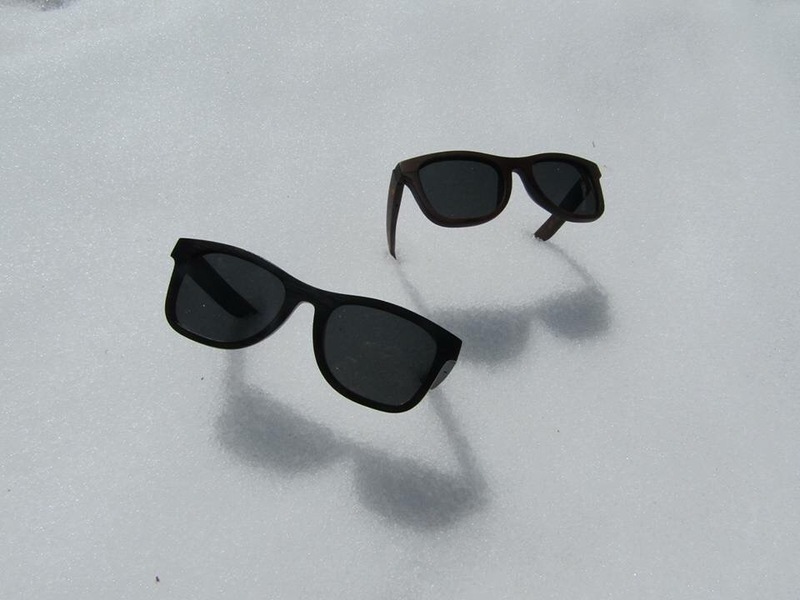 They are now also available as prescription sunglasses! Our favourite shot was on top of a mountain in Austra, two Pandas playing in the snow.